No leather bags for today given the rainy weather, so back to my ol’ faithful nylon backpack. 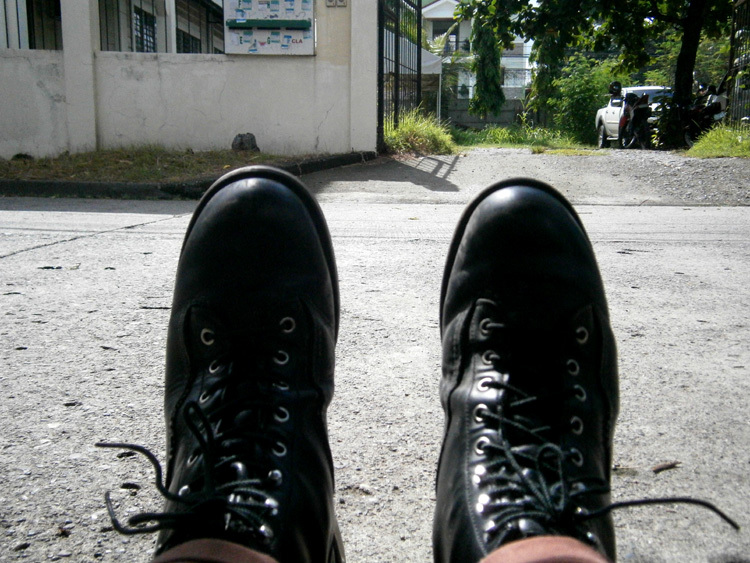 I also got to wear another ol’ trusty boots, my good-on-casual-jeans brown 8-hole Doc Martens. 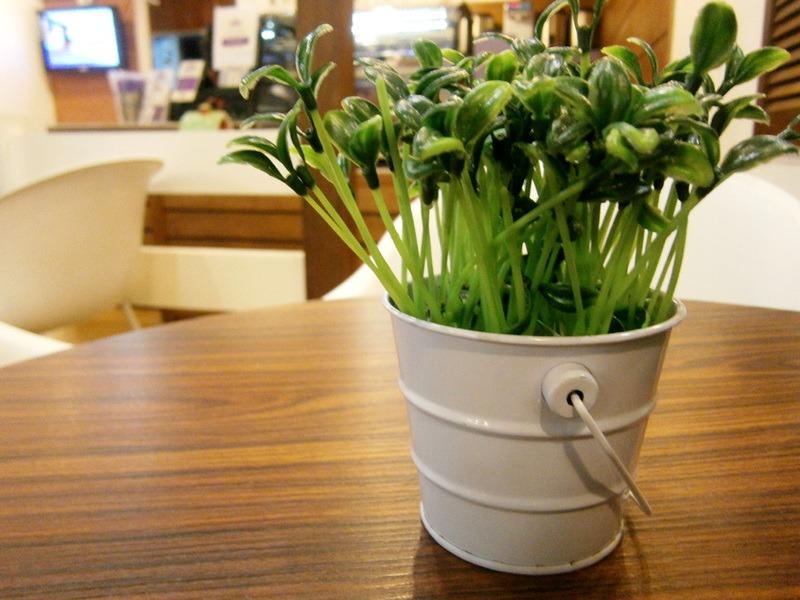 In Filipino, this is what we call pangharabas, and I love this pair when it rains. 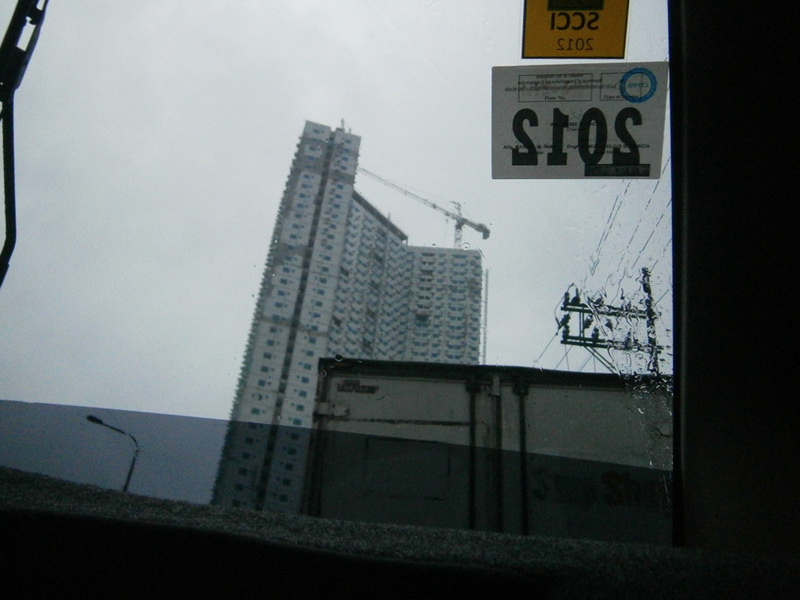 I normally do not take the shuttle from Marikina to Makati every Friday because the roads (C5-Ortigas, EDSA, Buendia) are usually more congested than the other weekdays. 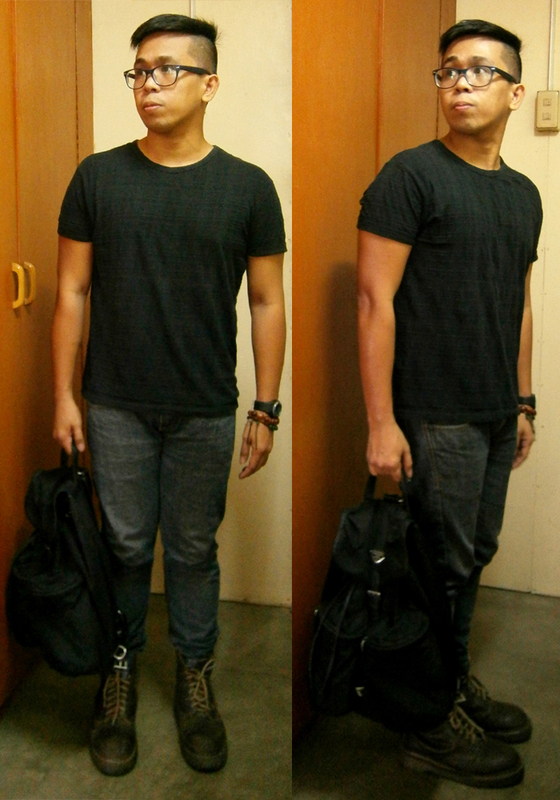 I took again the long route going to Cubao and MRT. I thought I was going to be late, though, because of the serious traffic jam in Katipunan Avenue and Aurora Boulevard. As we were slowly pacing past the Marikina flyover, I can’t help but look up at this very high building built by SM Residences. I shudded to think how much worse the traffic in that area could be, if this place were to beging taking in residents. And of course, the ground floor will be occupied by establishments, furthermore increasing the number of vehicles going in and out of the area. A very big “GOOD LUCK!” to all of us. Finally arriving in Makati with thirty minutes to spare, I dropped by Tea Farm in KPMG Building to buy some milk tea for Mon and I. I have mixed feelings towards the current milk tea obsession happening in Manila now, but I am still fine drinking just a glass per week. 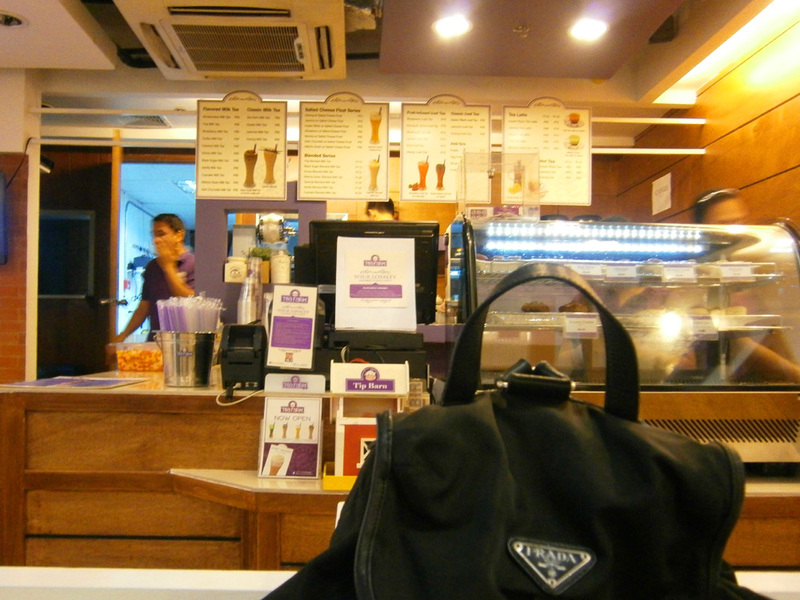 Maybe because of the price (averaging at Php 100) or how heavy I feel afterwards with the amount of milk. LOL Well, Mon loves wintermelon milk tea and I needed an excuse to do something about my confusing bills. When I was about meet Faye and Ikle last month in U.P., I rode a jeepney going inside the campus and paid Php 20 for the short trip — or what I thought to be Php 20. I was to pay for something in the Cashier when I’ve noticed that I was missing a Php 500 bill. I was racking my brain how on Earth did I lose my last Php 500 bill, then I recall handing out a yellowish bill. I gave it to the jeepney driver, instead of the 500 one. 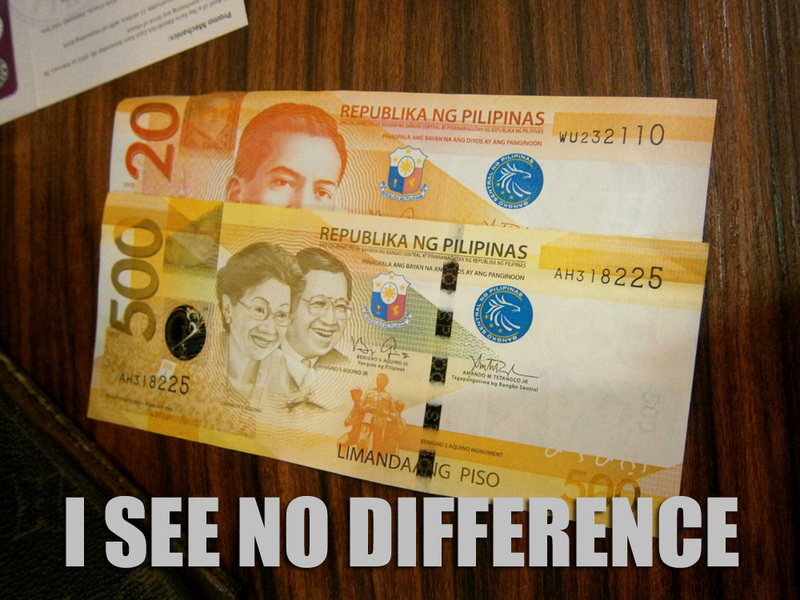 I had a lot of close shave with this kindof mistake eversince the government started issuing the new Phillipine bills. I had no problem with Php 20 and Php 500 before, as the latter was on the very dark, golden side (notice how I describe colors? It’s usually bright or dark of a notable color LOL). But the new bills made distinguishing between Php 20 and Php 500, as well as Php 100 and Php 1000 more difficult. Due to that costly mistake (I was given Php 12 change, instead of, uhm, Php 492), I then learned to keep any Php 500 or Php 1000 bill in a separate compartment of my wallet, far from where I usually keep the other bills. How I wish they made the Php 500 bill darker than the Php 20, I would then have no problem distinguishing one from the other. That small security fiber strip was cleary not enough.